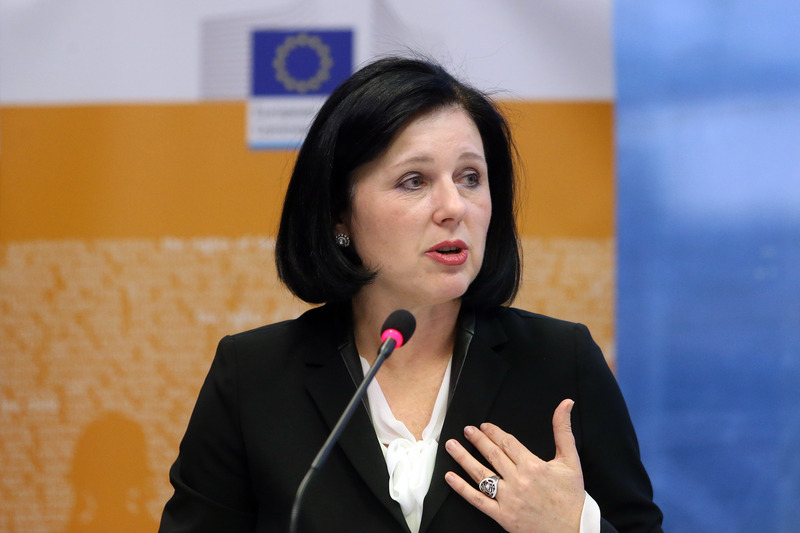 Restrictive legal changes in Poland and Hungary overshadowed EU Justice Commissioner Věra Jourová’s announcement of new figures comparing EU countries’ judicial systems today (10 April). The Commission will debate a newly passed Hungarian law targeting the Central European University on Wednesday (12 April). Hungary’s parliament passed the law last week in a fast-track voting procedure, igniting uproar against Prime Minister Viktor Orbán’s government for what is widely perceived as a crackdown on civil society. “My fear in Hungary is that there are efforts to decrease the power and influence of the civil society as such and decrease the political pluralism,” Jourova said. She said that it would not help if the Commission were to take “administrative steps” or open a lawsuit against an EU member state unless people there express public disapproval over their government. “I’m happy to see that the people there are courageous, open, vocal and visible,” Jourová said of the Hungarian protestors. The EU justice chief said the Hungarian law seems targeted at only one university and suggested the legal basis for the law could be shaky because it focuses only on the Central European University, which receives funding from American philanthropist George Soros. The legislation could force the English-language university to close by 2021. A group representing a majority of European Union lawmakers said on Wednesday (5 April) that they want the Parliament to start disciplinary proceedings against Hungary after a crackdown on foreign universities by Prime Minister Viktor Orbán. 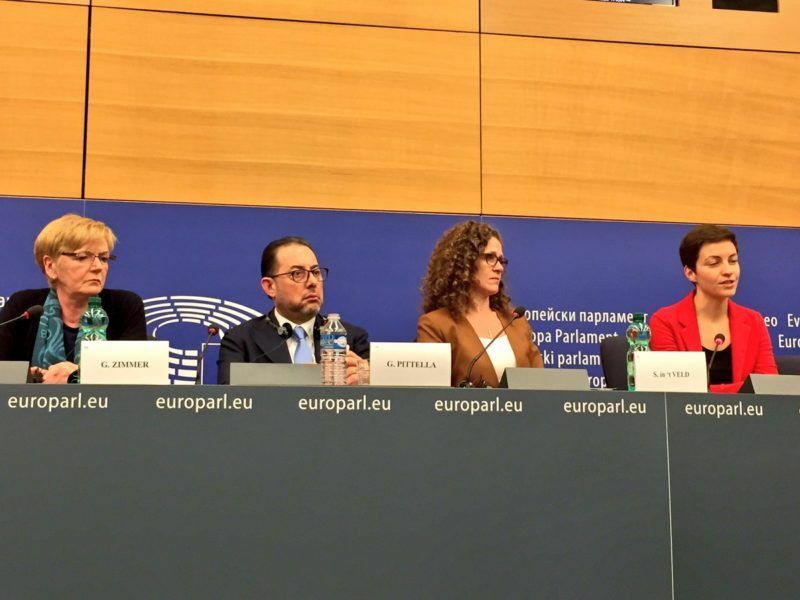 Jourová appeared before journalists in Brussels to present 2017 statistics comparing judicial systems across the EU. But she spent much of the press conference discussing the legal changes in Hungary and Poland. The Commission has been monitoring Poland for more than one year under an unprecedented procedure to determine whether the country upholds the rule of law. The EU executive demanded Poland create legal safeguards protecting its constitutional court in December. If other EU countries agree to sanction Poland, the country could be stripped of voting rights in EU negotiations involving all member states. Jourová said national governments should make that decision in the first half of this year. She told reporters the Commission is focusing its attention on Poland and Hungary’s judiciaries because recent legal changes there threaten to compromise judges’ independence. “We see very worrying trends in these countries,” she said. Public perception of the independence of Hungarian and Polish courts is below average compared to other EU countries, according to the statistics the Commission published today. Jourová suggested last month in an interview with German magazine Der Spiegel that rules could be changed so that Poland loses EU structural funds in the next budget period, after 2020, if it does not make legal changes to safeguard the independence of judges and courts. Structural funds should be given on condition of “basic values” in addition to economic criteria, she said in the interview. 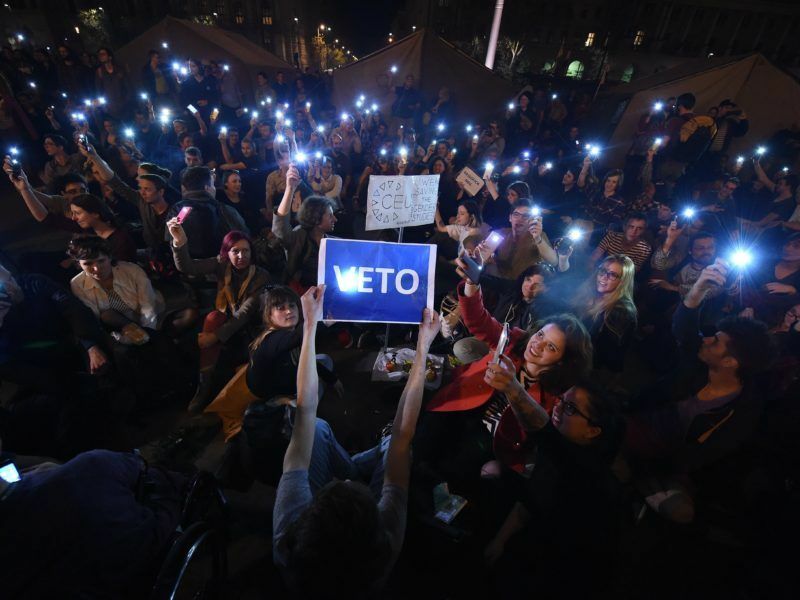 Hungarian lawmakers yesterday (4 April) approved legislation that could force the closure of a prestigious Budapest university founded by US billionaire investor George Soros, sparking fresh protests. Apparently today ORbana stated a “disinformation” ! If it comes to me then I would advice Hungary an Ultimatum ! Either Orbanocracy and the Pis governements resigns or the Art.7 should be apply . Ill sick and silly Hungary gov.